Video content is a powerful platform to get your brand in from of your audience. It is an entertaining and informative content that most people like. Interesting video content grab attention and speak directly to the audience effectively more than text content. And the rate at which it converts is always higher compare to text content if the video is entertaining, strategic and informative. So, having a marketing video embedded on landing pages and blogs has been proven to convert more mostly on sales pages. Marketing videos are of different types in terms of quality and values. There some that are boring and have low quality information and less value. Likewise there are videos that are highly engaging with values and high quality in terms of production and content. In looking for ways to generate leads from YouTube let’s quickly dive in to see how powerful this platform can be and why you should have it as one of your platform to get leads to your business. Communication can only be established when the source of dissemination can easily be assimilated. That is, it should be very easy to understand, call for attention without been salesy in a simplified and attractive format to the receiver or audience. For example if you want to build a computer systems imagine how many words you will have to write and how easily will it be for someone to understand assuming it will be in text format. But if it were to be in video format it will be easy to understand with the steps to take in connecting each component and how each step will be perform easily. Task that are been shown visually can easily be perform. Highly effective, informative and quality video can trigger actions to easily perform a task. Another good example is comparison; it is easier to compare a product brand from another with video content than text. It aid consumers in taking decisions easily because they believe in what they see as been shown to them. Let’s take a video comparison of a vacuum cleaner as a case study. Customers will prefer it been shown to them to know how effective each one is to aid them in taking decision. 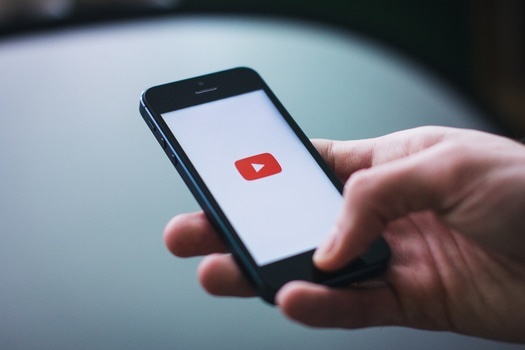 Videos are more genuine in getting to connect with people compare to text content. Take for instance during political campaign; politician do their posters displayed everywhere they want to seek for election. Those posters might look charming but cannot be compare to knowing the politician when they make their speech or been interviewed to unfold their agenda to the public on what they have for masses if been elected to office. It is easy to read and know if a politician is lying or not through their talk and body action when seen on video. So also it applies to marketing, when a false claim is been made or claim. In a nutshell video deliver genuineness than text. Video help in delivery the activity of a product. Whereby the product can be removed and put to work to display to customers what to expect in functionality and how effectively it is including other features that the products have. It helps to answer a lot of questions that might tend to come up whenever customers want to buy. A very good example is an iPhone with all the features been displayed on their sites for customer to know what to expect when they buy. Video are known to take zero effort for anyone to have the content displayed and assimilated. Atimes most people find it very difficult to read, sometimes instructions on medication that is vital to their health. Not only that, some people even find it difficult to check and read the expiration date of an item they bought. All of this bottom to laziness in reading. With video it is easy to grab attention and make it stress less for the customer to get full details about a product before they buy. Meaning video has an advantage to have your conversion rate go higher, so it is worth it to have video content as part of your platform in your marketing. Keywords are essential for any organic search including paid ads. Relevant keywords are powerful method to easily connect you with your audiences in any niche you belong. Keywords with related phrases work effectively to be able to get visitors at the point of intent. For example: Keywords of “how to” including a phrase of likely question that a visitor may ask during their search on YouTube most times may get the visitor to land on your video content. Mind you, niche matters when it comes to generating keywords. And having an in-depth knowledge of niche likely questions gives you an edge. Leveraging on the power of tools to generate keywords can be of advantage. Some are free while others can be purchase, but I will advise if you’re just starting and don’t want to blow out your budget go with the free method. Google search engine is a very good and effective free tools been used in keyword generation. To use this tool, open www.google.com to search for a keyword. The keyword will bring out some commonly and related searches that people are already looking for. Write down the keyword and other related search that you find and leverage on it. For an in-depth search to have your net cast wider you can repeat the search with a different variation that will give you more broad and related keywords that you can use. Another free tool is Keyword Planer own by Google and very effective for keyword ideas. To use this you must have to sign into your Gmail account before you can have access. It is simple to use once you sign in. Remember, our reason for using these tools is to get related keywords that will give you an idea of phrases that will matches with you “how to”. So, if you have found as many as you can, check for the one that has a decent keyword volume and use it as your title keyword for your video. To experience high views and conversions it is important to know how to create videos that will attract your target audience through your title keyword. Some of the best thing to do is to get a decent keyword and create high quality video that will attract them at the point of intent. Consider investing your time and money to produce a quality video or search for a quality video and put your call to action to it. Videos contents that work effectively most time are the “how to” methods that teach or show to a target audience on how to do things. These methods work effectively because most people come to YouTube to search for information. Ideas about issues and concerns that frequently happen or been questioned in your niche will help you know the kind of video content to produce for that target audience. High quality video content that provide solution or value to a target audience whose intent matches with what you have on the video convert easily. Remember, the power for any video to convert has to do with the values that the content possesses. If your video have quality and valuable information that solves and serve your prospects, majority of them will respond to your call to action. Even if the video content is not produce by you, in as much it serves the visitor and with your affiliate link on it, it will convert and get you leads. Strategically you can even have these videos in series if you have a long content like teachings or lectures or something that has to do with things in general. A very good example is a video that teaches how to play guitar. So, for you to have your message deliver to your target audience, use video content that will resonate with them at the point of their intent to meet with their expectations. 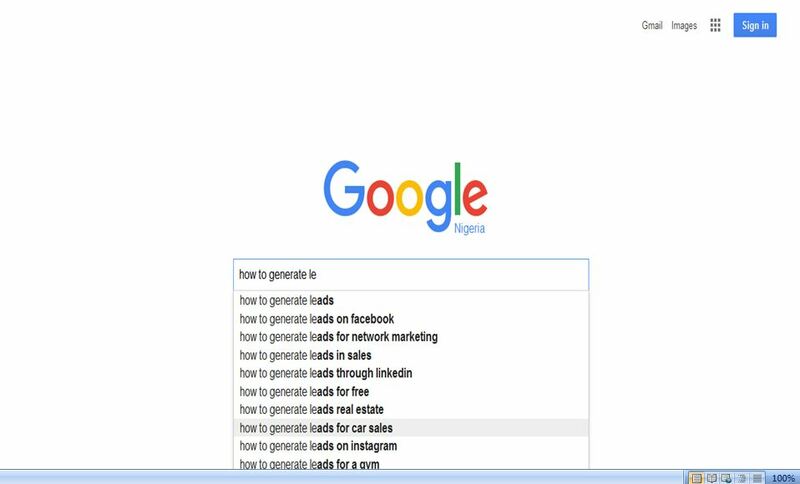 To effectively use this Ways to generate leads from YouTube, always use keywords that are likely to be the questions that prospects have in mind when they are searching on YouTube. Annotations are strategic methods of positioning your call to action alongside with your video while it is playing. They are clickable links use for call to action to boost engagement, navigate your viewer to another site or give information. It is an effective ways of marketing through video on YouTube. It convert prospect easily and help you to get leads without making the viewer feels that you’re marketing to them. To aid your conversion it is very important to have annotation on your video content. To upload and post your video content it is important to have it on an authoritative site with the largest number of users. And that’s why I advise using YouTube. YouTube have over 1 Billion users all over the word and have over 3 Billion searches per month. So far, it is the largest video site. There are a lot you can do with video in terms of Ways to generate leads from YouTube. One of them is using players like Wistia to upload which allows you to be able to collect emails. Or you upload your videos through YouTube directly. After uploading, fill in the basic information about the video, along with the keyword. Remember not to put too much of keywords on it so as to rank higher for the keyword. It is important when you upload video on YouTube to also have it link back to your site or blog. On your website or blog create content that describe what the video is all about and embedded the video on it. Make sure you link back to your website for the video content. This will help you to rank the page on Google and also have the video rank on YouTube. Having done that, let’s get into the type of content that work best and grab audience attention. People don’t establish trust if they don’t know who they are dealing with. The credibility of the person behind the product matters before any trust can be established. It is trust that makes people to buy from you. Before your target audience can trust you they have to know you and what you stand for. Telling stories about who you are and what you stand for is vital in your introductory message in your video content. After that tell them about your product and what your product stands for. You can even dig deeper to let them know why the product was release and why your brand was form. This idea is to make skepticism taken away from your viewers. To further connect and establish the trust you can answer some likely question that might be on the viewers or consumer mind. After that you can proceed to let them know what they will benefit using your products.People don’t care about how your product is but they care about how it will benefit them. The value that they can get using your product is what matters to them and that’s what you should communicate to them at this point. For example clients don’t care about the equipment’s their construction firm have, they care about how their building will look like when it is completed. So let your video content deliver the message of values and benefit they stand to get if they use your product. Also make sure your video content have an overview of the product with the details of all the functions. And if you don’t have your own product you can make an overview of the product you want to use and put your affiliate link. Ways to generate leads from YouTube are strategic and using the above methods have X10 many business and transform many list. If you use these methods for your video marketing it will convert and get you responsive leads. Let me know in your comment below if you use this method and how helpful it is. And please don’t forget to spread this article by helping to share it with your friends through the button below.